Young Ramakrishna was prone to experiences of spiritual reverie and temporary loss of consciousness. His early spiritual experiences included going into a state of rapture while watching the flight of a cranes, and loosing consciousness of the outer world while playing the role of the god Shiva in a school play. A yogin named Totapuri then became Ramakrishna's mentor. Ramakrishna adopted the role of renunciant and learned a nondualist form of Vedanta philosophy from him. In this system, God is understood to be the formless unmanifest energy that supports the cosmos. Ramakrishna experienced a deep form of trance (nirvilkalpa samadhi) under the guidance of this teacher. This state can be described as complete absorption of the soul into the divine ocean of consciousness. Ramakrishna explained on different occasions that god is both formed and formless and can appear to the devotee either way. He often asked visitors whether they conceived of god as having qualities or as being beyond qualities. He then proceeded to teach the devotee according to the way he or she viewed the divine. His acceptance of different approaches to the worship of God and the validity of different religious paths, such as Christianity and Islam, is in the best tradition of the universalist approach to religion common throughout India today. One extraordinary quality of Ramakrishna's message was its universal appeal to a broad cross section of Indian society. In the West, religions like Christianity and Judaism tend to be exclusive, and find the contradictions that arise from a religion that is too broad to be objectionable. If one religious approach is right, the others must be wrong. But the Indian mind tends to more readily accept someone like Ramakrishna who preaches universality of religion and accepts and even promotes individuality in the seeker's approach to God. For instance, Ramakrishna appealed to the upper classes who are likely to follow a Vedantist or philosophical approach to religion by sometimes describing God as a nondual formless essence. His description of Kali as an ocean of light had much in common with the ocean of Brahman that the Brahmins (the traditional priestly caste) seek to encounter when they are initiated into the Gayatri mantra, or the mantra of the sun. One divine ocean of consciousness may be difficult to distinguish from another. 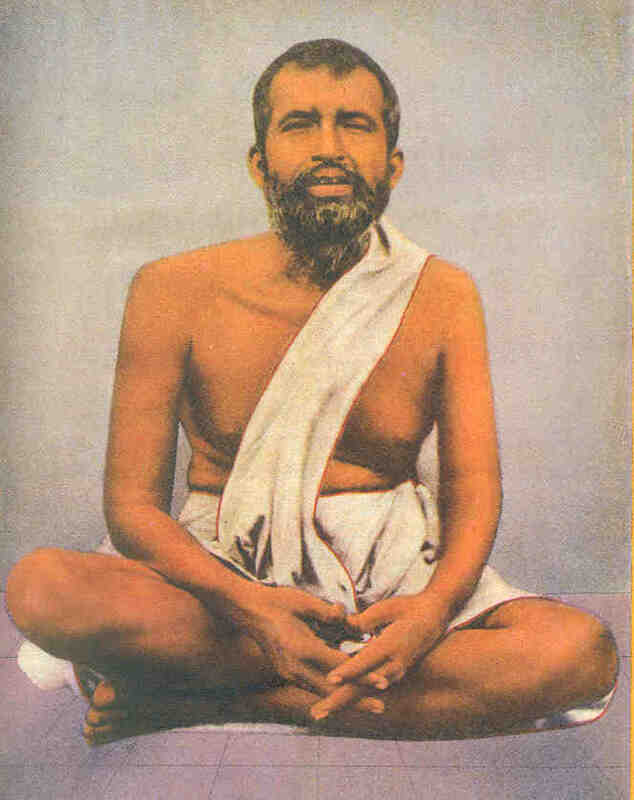 Ramakrishna also appealed to those with an interest in yoga and esoteric practices by practicing a nondual form of meditation prescribed by Totapuri which seeks samadhi. The most popular religious practice by far in India is bhakti, or devotion to a deity. Ramakrishna's message was welcomed by both the rural and urban religious people who did puja to the divine mother Kali as a protective and benevolent deity (Kali also has a fierce and destructive side which she generally does not show to those who worship her). These devotees saw him as a great teacher and bhakta who sang the names of God and talked incessantly about God. They too did puja and sang Kali's name in hopes of having healthy children, getting good jobs or marriages, or producing a plentiful harvest. The sincere devotee could even hope for a vision or dream of the divine mother. An unusual development in modern attempts to understand Ramakrishna’s life has been the recent application psychoanalytic theory to his experience. While the vast majority of psychologists consider psychoanalytic theory to be thoroughly discredited, historians of religion have resuscitated this moribund methodology in an attempt to explain the existence of Ramakrishna’s mystical experience. Specifically, it is claimed that the origin of Ramakrishna's mystical states (and through generalization all mystical states) can be traced to a pathological response to alleged childhood sexual trauma. There are, however, some serious problems with the attempt to apply this form of psychological reductionism to Ramakrishna. First, the major proponent of this theory is not a psychologist and has no formal training in psychoanalytic (or any clinical) theory. Second, he is doing his analysis based on a set of biographical texts rather than direct contact with an individual patient in a clinical environment. Psychoanalysis is a highly interactive process, and analysis of textual data cannot begin to approximate the complexity and detail provided by the one-on-one relationship that develops between patient and analyst in psychoanalysis. Applying the psychoanalytic method to one or more texts about a person is therefore likely to result in a failure to understand the patient (or mystic). Third, the author is working in a thoroughly non-western culture where is it highly questionable whether Western psychoanalytic theory even applies. Fourth, the author has been shown to have difficulty understanding the nuances of both the Bengali culture in general as well as the Bengali language in which Ramakrishna's biographical texts are written. He is therefore subject to serious errors in translation and to misinterpretation of the textual data. These would be serious problems even if psychoanalysis were among the newest and most accepted psychological theories. Combining them with the fact that psychoanalytic theory is disrespected and ignored by today’s psychologists seems to call the whole reductionist enterprise into question. The fact that many historians of religion have eagerly embraced this antiquated Freudian methodology in an attempt to understand Ramakrishna and mystical phenomena in general is an indication that the field may be in trouble. Historians of religion and those in the field of religious studies seem to be at a loss to find a better methodology by which to understand saints and their religious experience.